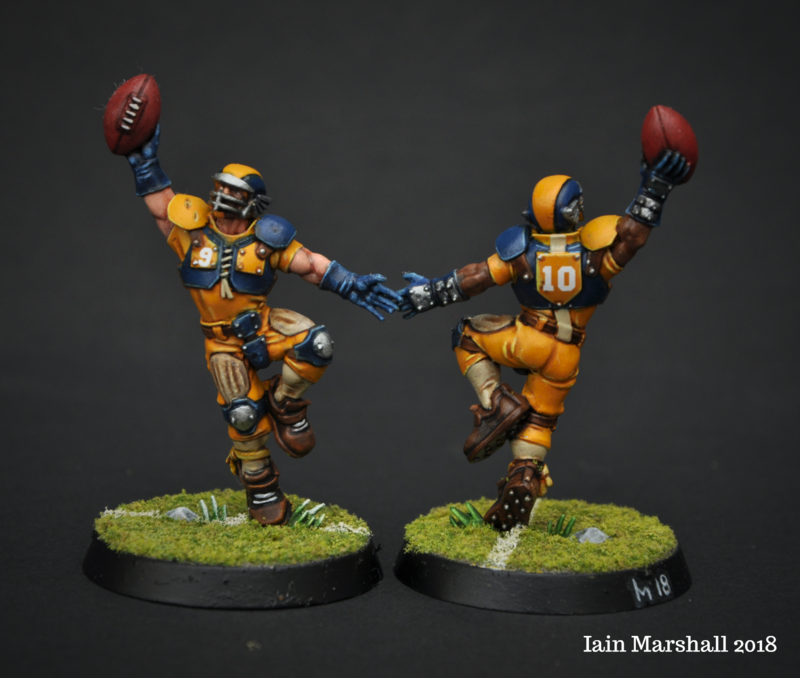 The Mannesfeld Stags are my very first Bloodbowl team and foray into the game. The colours were inspired by my wife’s favourite football team, Mansfield Town FC, who sport a kit of golden/amber yellow and navy blue. This was achieved by establishing the yellow first with an airbrush and locking it in before starting to apply the other details by hand. 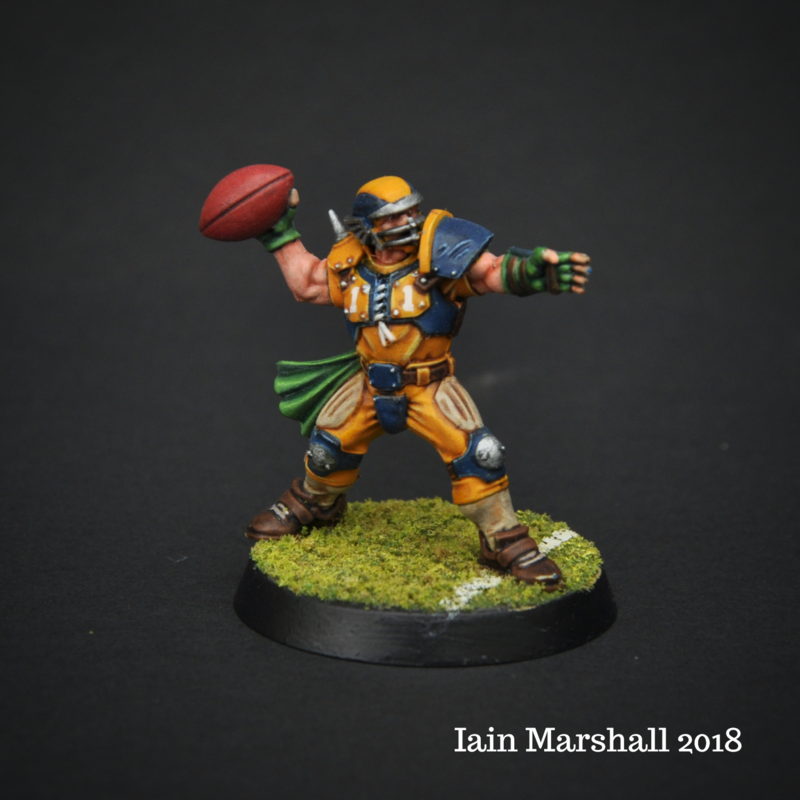 My favourite guys to paint were the linemen but I also really enjoyed the challenge of trying to make the most of the dynamism of the positionals. The open helmets of the catchers and throwers really lent themselves to capturing the facial expressions, even if getting the eyes nailed was an absolute mission! I also adjusted one of the Blitzer heads looking down at his feet as he’s kicking and I really like the way he’s turned out. 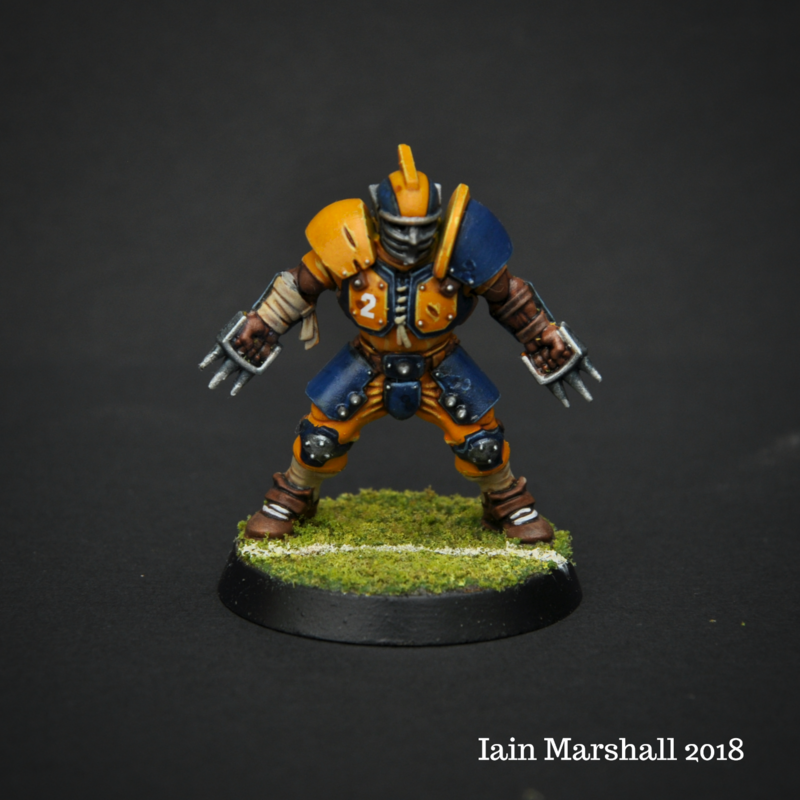 To try and keep the team looking consisent, I opted for a single base colour rather than adding the position colours to it. Instead I tried to create an accent colour linked to their positions on the models themselves.. 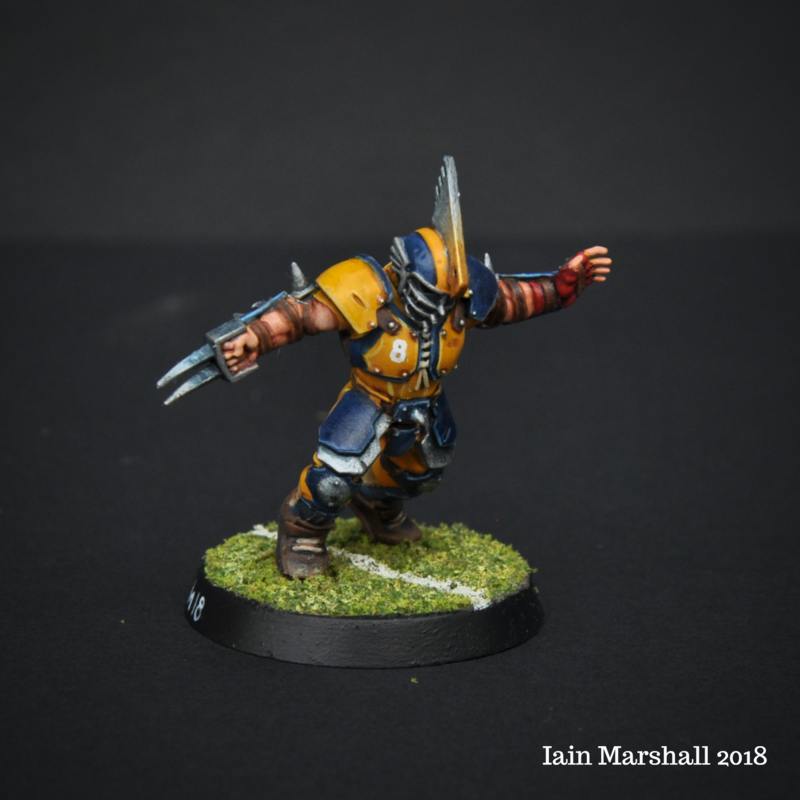 The linemen have a light grey/white bandages and ribbons, the Blitzers have red gloves and ribbons, the throwers green and the Catchers a yellow ribbon on the ankle (trying to give a yellow accent to a largely yellow model was tricky!). Finally, that leads me onto the bases. As a painter who largely does single figures and display models, stripping things back and going simple was refreshing, but equally I didn’t want to fall into the trap of just adding some scatter and calling it a job done. I layered some fine turf blends, gave them a drybrush of a green/yellow and added a white stripe. Overall, I had a complete blast painting these guys and its been the first time in about 10 years that I have painted a unit of figures. I just can’t wait to take them to the pitch now. Next up, Orcs!